Job sites help in finding the right opportunities in your career. 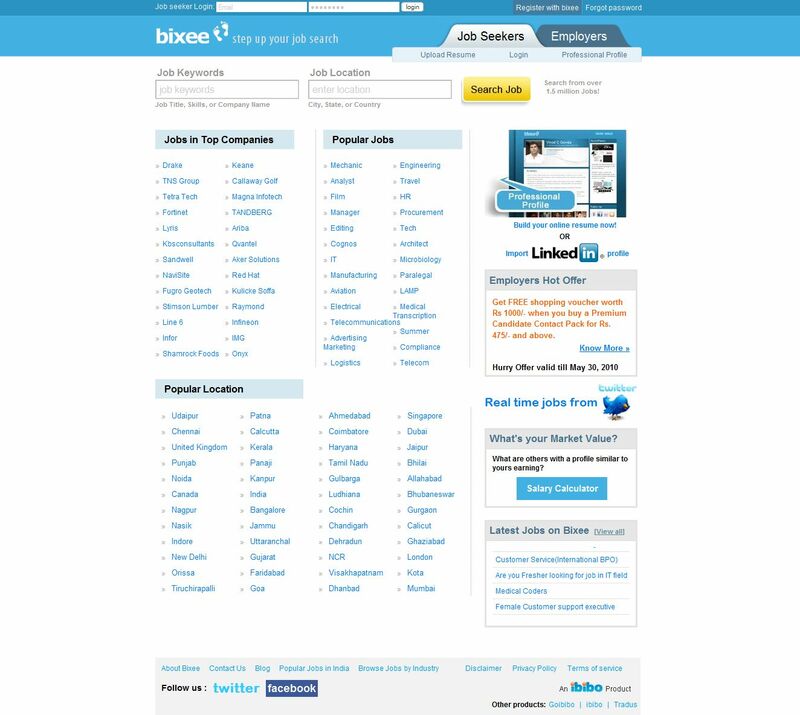 With latest technologies available, recruiters can find your resume easily from top jobs sites in India just by click of button. So it is very important that you submit your resume to all the top Jobs Sites in India. 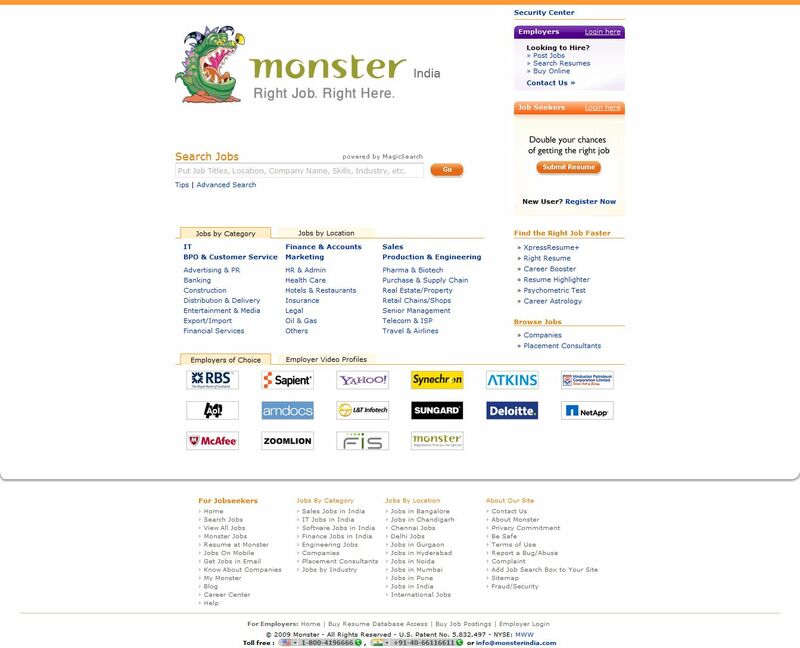 These job sites provide good job opportunities and helping in finding jobs in top companies. 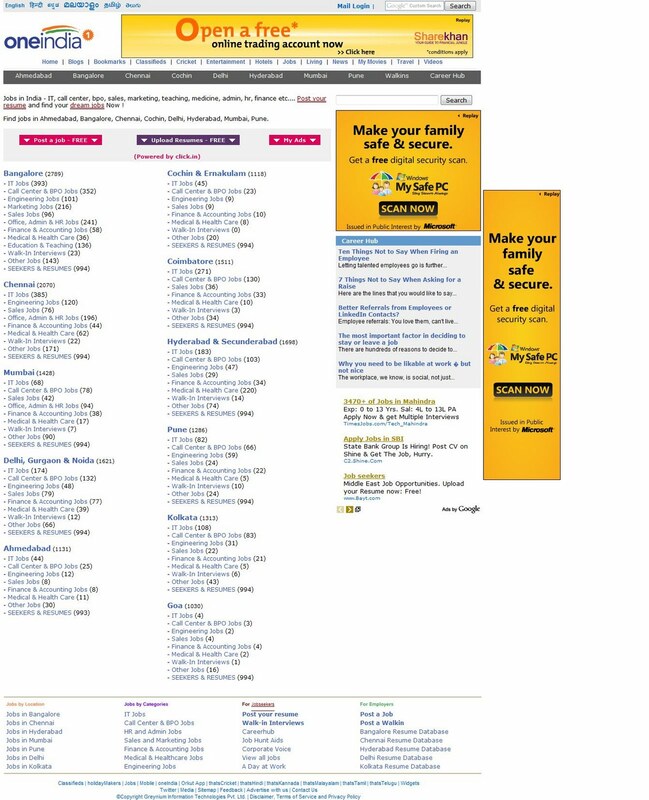 This article covers top job sites in India. Top Companies in India are taking the help of these sites in finding the best candidates for their jobs. So lets see the top job sites below. 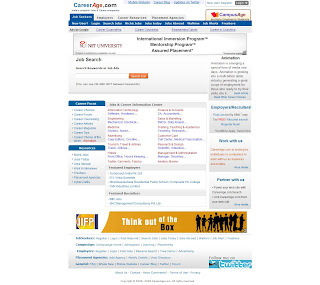 These are the top Job Sites which provides the latest jobs and job related information. It is advisable to fill your resume and get updated with the latest jobs and requirements in the market. 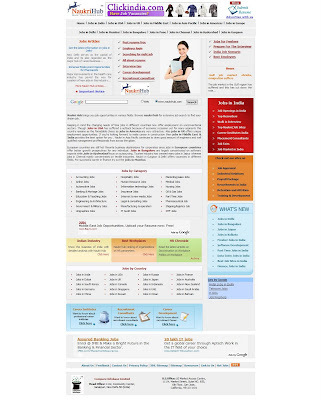 Naukri is the largest job site in India with highest number of people registered for getting information about jobs. Since its inception in the year 1997, this job site has earned a good name from the job seekers and the providers. 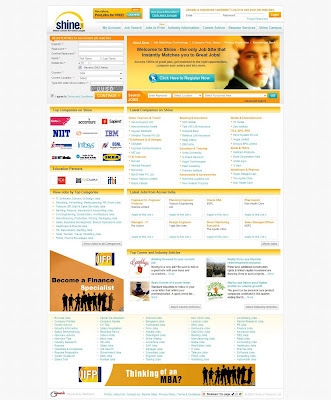 It is regarded as one of the top job sites in India. The group operates across all the major ventures namely, real estate, jobs and matrimony. 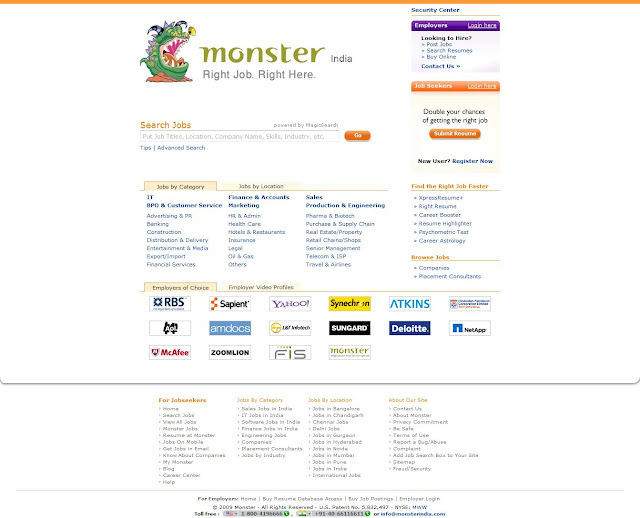 Like Naukri, Monster India is recognized as the second top job sites in India. The main objective of this job search site is to enable the job seekers to find out their relevant job, a new career avenue, and discover the latest job opportunities that exactly match your profile. 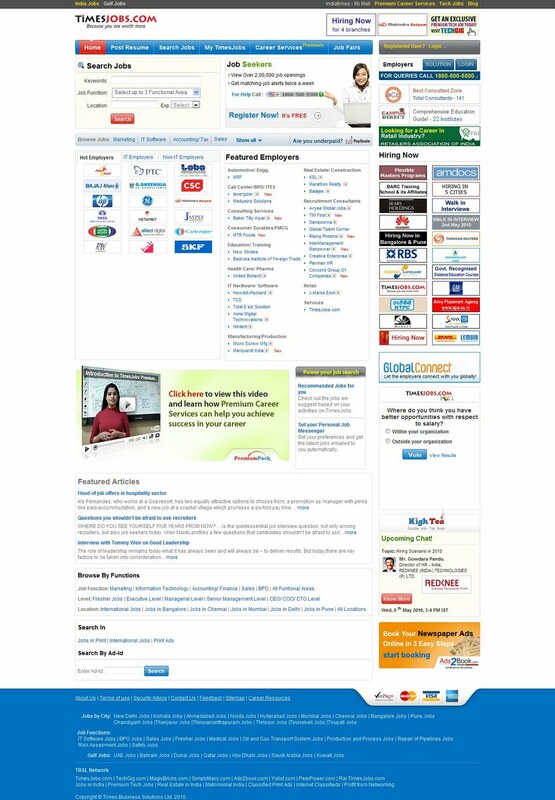 Times Jobs is one of the most popular job search sites in India. The site contains all types of jobs and helps an individual to find out the right job of his or her choice relevant to his or her area of study. 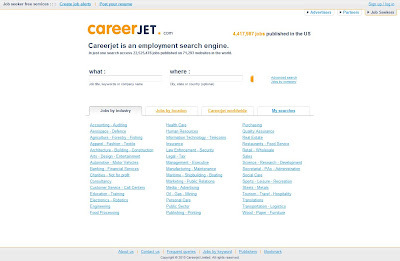 Careerjet is one of the leading job search engines which have been specially designed to make the entire process of finding a job on the internet much easier for the Internet users. It lists down all the job offerings available in Internet from recruitment agency websites to top company websites and specialist recruitment sites. Naukri Hub is regarded as one of the best job sites in India which has good recognition in North India. Naukri Hub is a popular web portal which is committed towards guiding millions of job aspirants to find the correct way. A good website which believes that there is no shortcut to quality and always inspires people to set their dreams sky high. The way Naukri Hub executes all the relevant and best sorted job information, places it at a bench mark position. The site indeed leaves a mark to tremendous teamwork, provides an innovative approach, and leads to an excellently well built customer relationship. 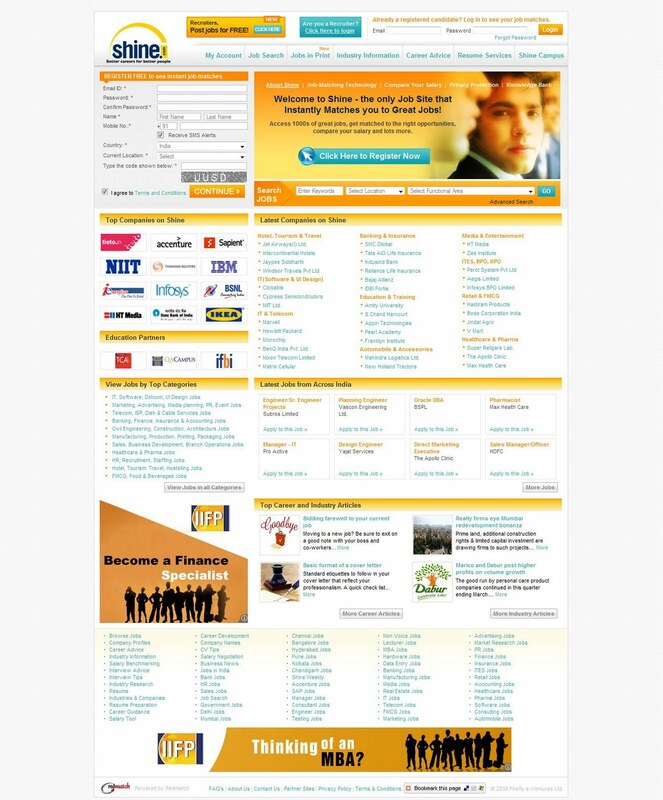 Career India is also one of the top job sites in India. It features sections like Walk-ins, Walk-in-interviews, Post your Seekers and Resumes, IT Jobs in India, Government jobs in India, software jobs in India etc which helps you to select from the list of jobs. 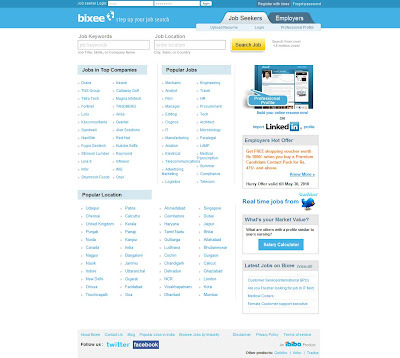 Bixee is also one of the most popular job sites in India. It was launched during the latter part of 2005. In this site, you can find lots of information on Jobs in India, Chennai, Delhi, Pune, Mumbai, Hyderabad and Bangalore over the internet. 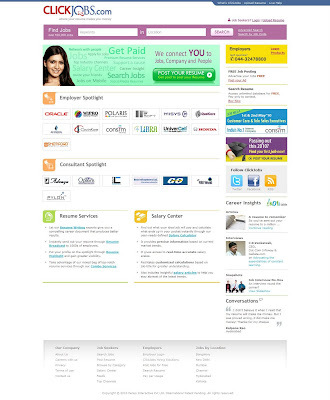 Click Jobs is a career opportunity site which gives you the option of keeping your profile in the site’s database. The site allows you to keep some of your information confidential if you desire to do so. If a potential employer is interested to view your full profile, you will be directly contacted via email and will be given the name of the potential employer. CareerAge was created in the year 1996 and the portal was officially launched in December 1999. 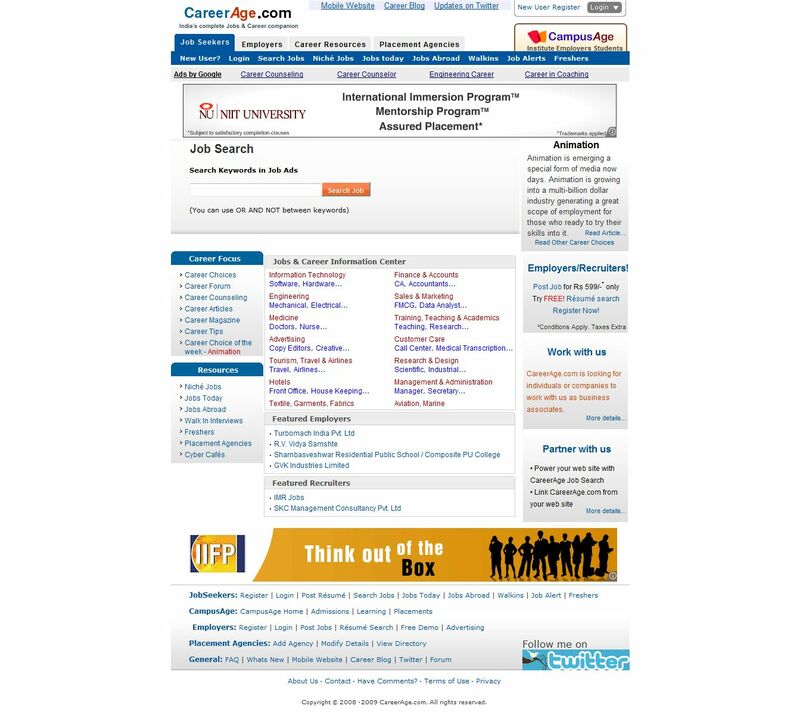 This job site was launched for the purpose of making available the various types of jobs and career information over the internet. It is regarded as one of the most comprehensive job portals in India which help the students as well as the career builders by providing detailed information on various career options. 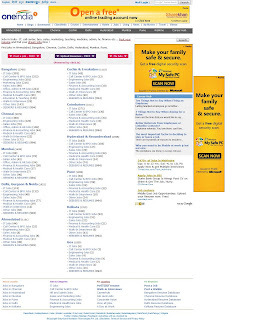 This is a portal catering to the jobs for freshers in India. 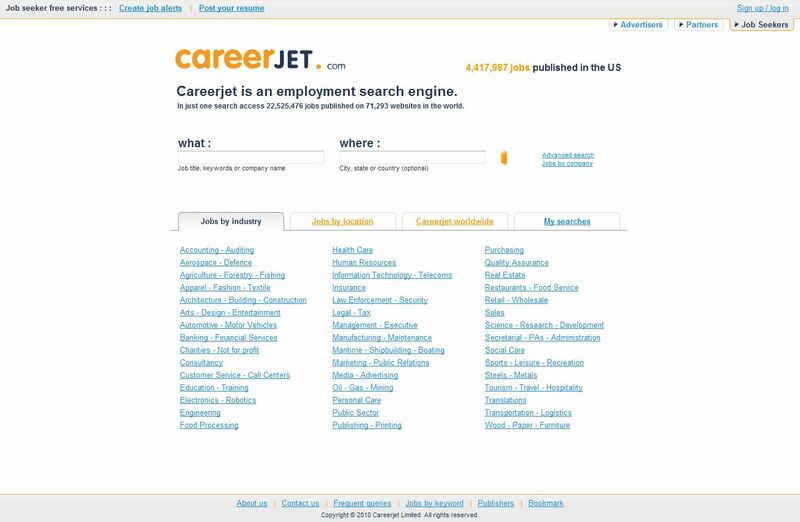 It features sections like Hot Jobs, government Jobs, Defense, Software Jobs, Careers, Placementweek, Company List and Interview Tips. 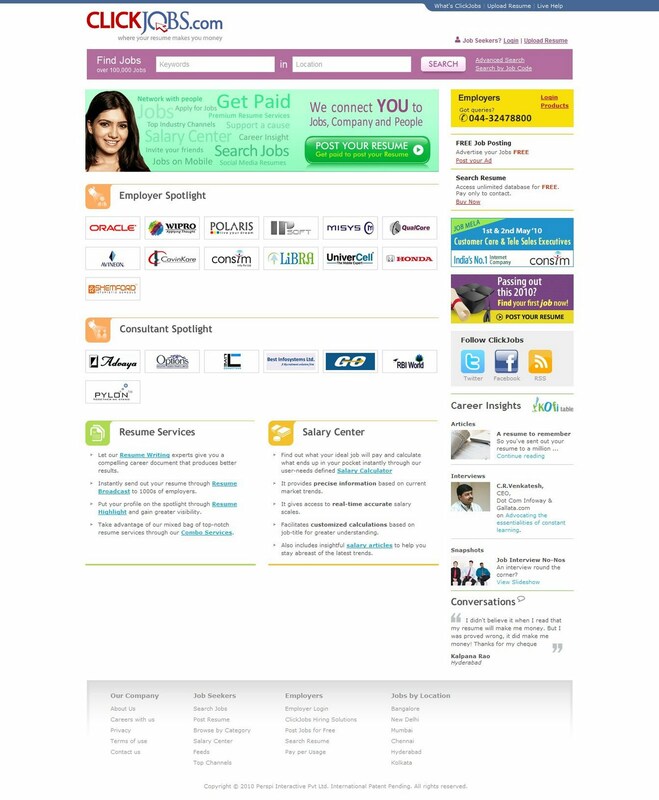 Shine is another good Job related site in India which has links with top companies. It provides job related information to hundreds of users online and gives you updated information about the latest jobs in market. Fill in your resume in these top Job Sites in India and get your dream come true by getting a chance to find jobs in top companies in India. Thanks .. good job..i prefer monster to be no:1. Check out http://www.dreamstarts.in. Its India’s best job board for indian startups.